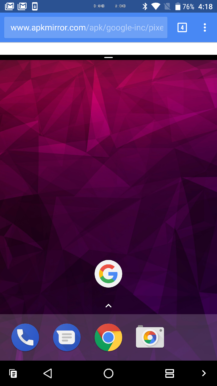 Multi-window was one of the biggest and most useful additions to Android 7.0 Nougat. It made its debut on Android with the Samsung Galaxy Note 2 all the way back in 2012, but it took a full four years to make its way into stock Android. It's since become a staple for many people; the convenience of watching a YouTube video while simultaneously scrolling through a Twitter or Facebook feed just can't be beat. 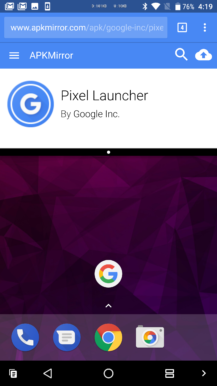 With the O Developer Preview, Google has improved multi-window by enabling users to maintain a view of the app they've minimized when they head into the launcher, as well as expand or maximize it. left: Nougat, minimized. middle: O Preview, minimized. right: O Preview, peeked into. 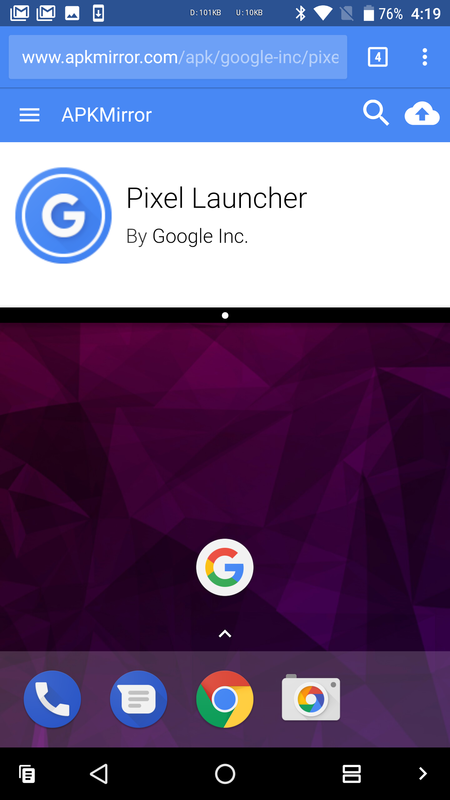 When you begin using multi-window by opening an app and then go to your launcher by pressing the home button in Nougat, that app will go away entirely, only leaving the colored notification bar as a small indication of what app was minimized. For instance, in the Nougat screenshot above, Gmail was opened in multi-window view, and the home button was pressed. That left Gmail's red status bar as the only reminder that Gmail was opened. It's also worth noting that Gmail isn't the only app that uses a tinted red status bar, meaning that that may not even be a reliable indicator of which app was opened if you're a bit forgetful. However, in the O Preview, doing the same thing leaves a visible sliver of the app up top, allowing you to clearly see which app you had opened. In the screenshots above, APKMirror.com in Chrome was opened and minimized. You can clearly see which app (and in this case, website) is open. Additionally, if you want to take a peek at more of the minimized app's contents, you can simply pull the black bar down a bit to expand it, all while staying on your home screen. I can't recall having an issue with the way multi-window did this in Nougat, but O's implementation is obviously superior. 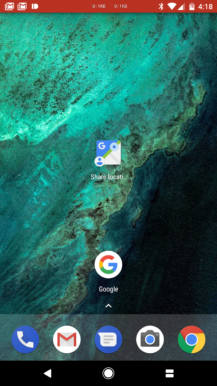 If you ever somehow forget which app you've just minimized, you can rest assured knowing that you can simply aim your eyes a bit higher on your screen for a reminder.